BestMechanicalBullRental.com is the best Mechanical Bull Rental in Pasadena. This city is one of the lively city in the San Gabriel Valley with good reason - it houses tons of worthy attractions in that region. Along with ideal parks and locations for your Mechanical Bull Party in Pasadena, there's tons of things to do here, which makes it worth your time to visit. The primary reason for it's popularity amongst non-pasadenians is their New Year's Day Rose Parade and Rose Bowl Game. A ritualistic college footgame game takes place and tons of aesethic floats will capivate your eyes. If you're an early planner and need plans for New Years, check this out. And make your stay here even more exciting by renting out our Mechanical Bull and setting it up at the convenient park that's right by the Rose Bowl Stadium, Brookside Park. And, if you happen to visit Pasadena at any other time and want to check out the historical Rose Bowl Stadium, take advantage of their tours they offer the last Friday of every month from 10:30a.m-12:30p.m. 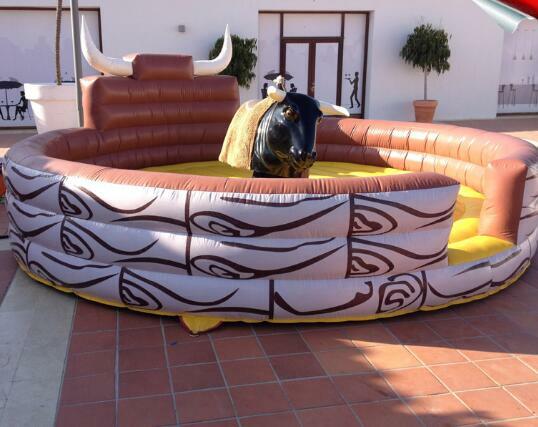 we'll still be here in Pasadena to add fun to your day with our Mechanical Bull. For those who like art, Pasadena has a spot for you. Although they won't allow our Mechanical Bull anywhere nearby this educational and resarch institution to maintain a peacful atmosphere, you can utilize the attractions of this facility to become calm, so calm that you'll be tired of feeling calm and ready to feel energetic, which might just be what you need to not just ride a bull, but to conquer it. When we mentioned the relationship between The Huntington Library and the super calmness to the point you may get tired of being calm, we meant it. 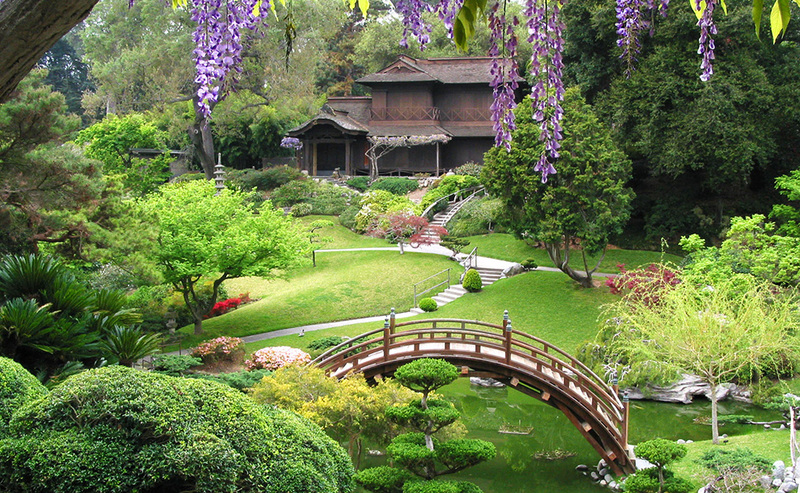 The Huntington Library offers extreme relaxment through their art galleries and even more through their many botanical gardens. And we mean GARDENS - California Garden, Liu Fang Garden, Desert Garden, Japanese Garden, a Children's Garden with interactive hands-on opportunities, Rose Garden, and the list continues on but we'll stop here because frankly you get the point, there's a ton of gardens that you'll likely visit until you'll say, "No more gardens, let's do something more stimulating". 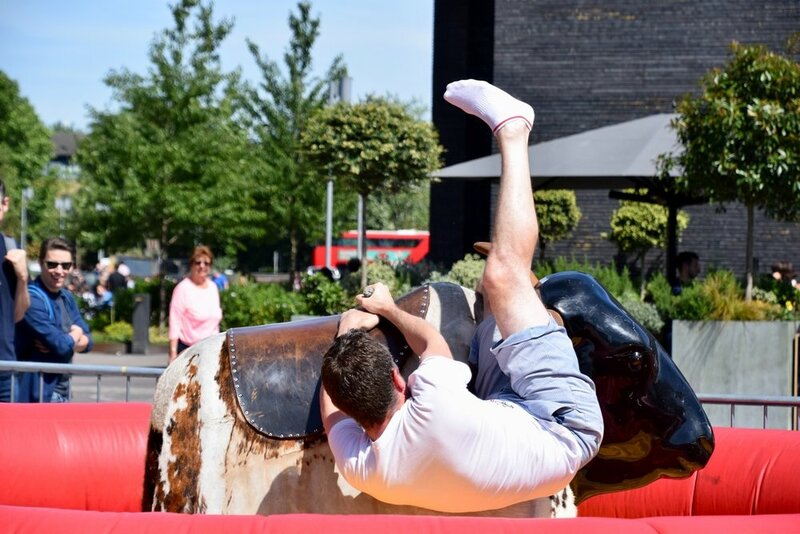 We'll pick up the phone when you call us at this point in time, and immediately come to your rescue with your Mechanical Bull Rental. After your daylife in Pasadena, be sure to check out Old town Pasadena as it's own of the most walkable areas in Los Angeles County because of it's many shops, restaurants, and entertainment centers in close proximity. Well, you COULD spend your whole day within this one area and still have more to discover, and do just that if that's your preference. Because maps always help, here's a map of Old Town Pasadena with all their attractions. Pasadena houses tons of great parks for our Mechaical Bull Rental. Two that we consider highly are Pasadena Memorial Park because of it's ideal location and nice grassfields and Singer Park because it provides ample shade. Next time you drop by Pasadena, notify us and we're sure to make your visit and day in Pasadena a bigger hit with our Mechanical Bull Rental.